Humor Bloggers Fantasy Football League Blog: Nonames in Biggest Blowout 2 Weeks In a Row. The only difference is Nonames were on the winning end of Week 2's Biggest Blowout. In Week 3 we were on the losing end to Bourbon Blasters to the tune of 59-126. And we slipped to third place while BBs took over our 2nd place spot. How the hell did this happen? Someone called Drew Brees rubbed Aaron Rodgers nose in the football field dirt. Wipe that smile off your face Brees. 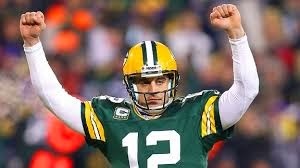 This supposed to be a picture of Rodgers. 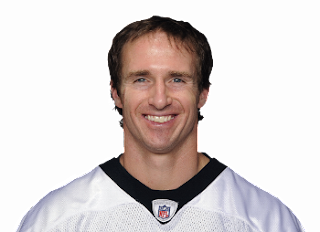 BBs QB Brees chalked up 40 points against NNs QB Rodgers and his 14 measly fantasy points. At least Aaron has a job in TV commercials to fall back on. But it won't do the Nonames any good. RB DeMarco Murray helped the BBs out too with 30 points. I knew I'd lost the week before the first Sunday game was over and the fat lady and David Wilson and his pitiful 3 points hadn't even sung yet. And it didn't help that Detroit pulled Reggie Bush before game time. And the New York Giants in real life fell to the Panthers to the tune of 38-0. To the who? So Wilson(3) was a big disappointment. As was Cruz(2). Week 4 sees the Nonames take on 7th place Kerridan's Okay Team. Don't worry Nonames. We'll get 'em next week. Yeah, right, Aaron. You'v got a bye next week, dummy.